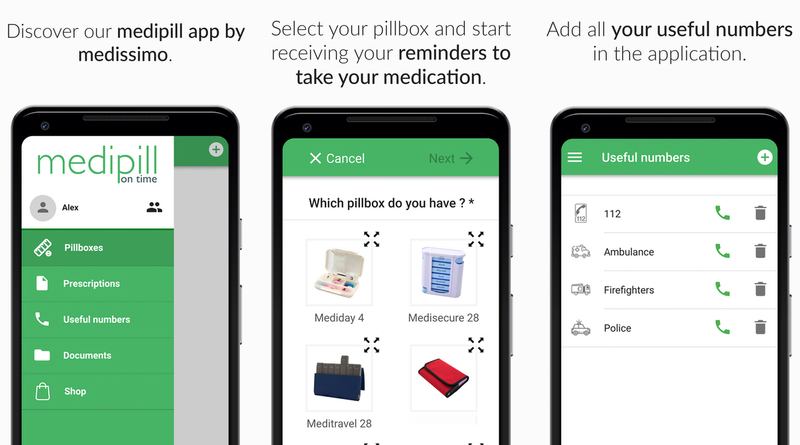 Compliance specialist and leader in the pillbox industry, we put at your disposal our Medipill application in order to facilitate your daily life. With Medipill you will be able to program your medicine takings and thanks to the alarms, you will remember to take them. You can register different documents such as prescriptions, health cards, data of your doctor, pharmacist, nurse, etc.